Prior to any surgical procedure, we perform a thorough physical examination of your pet and perform pre-anesthetic blood work. 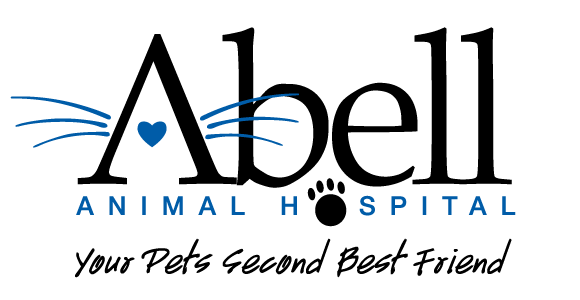 Our veterinarians will also review all of your pet’s options and discuss any risks that could impact your pet. Our veterinarians will carefully examine every pet prior to surgery. Anesthetic drugs are individually selected for the pet based on the procedure, their age, breed, and health status. Every patient will have pre-anesthetic blood tests done to evaluate their internal organ function to ensure the pet is a good candidate for anesthesia. Prior to induction of anesthesia, a catheter is placed in every patient. This allows us to administer warm IV fluids throughout anesthesia, which helps maintain patient hydration, and ideal blood volume. The catheter also ensures safety by providing immediate access in the unlikely event of an emergency situation. Vital signs are taken on a regular basis using digital monitoring systems, and patients are closely monitored under anesthesia by a dedicated technician. Our surgery table is heated to help patients maintain an ideal body temperature and additional safe warming devices are used following procedures to enable faster recovery from anesthesia to ensure greater comfort. A comprehensive pain management plan is developed for every patient to keep them as comfortable as possible before, during, and after surgery. We believe that it’s important to keep a line of communication with you throughout the day of surgery. Our staff will ensure that we have the best contact information when you drop off your pet, and will keep you fully informed about your their surgery, progress, and recovery. If required, the comprehensive pain management plan may include pain medication to be administered at home to keep them as comfortable as possible at home. At the time of discharge, we will explain what you need to know to care for your pet at home. 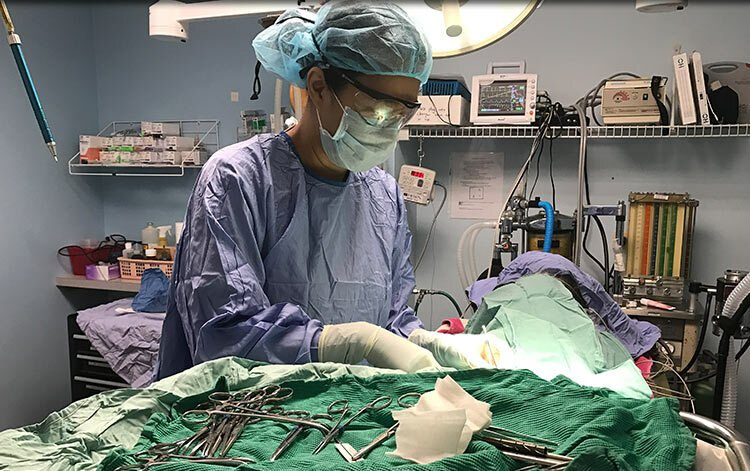 Abell Animal Hospital is proud to offer laser surgery, a progressive type of surgery that greatly reduces the swelling and bleeding that occurs during surgery. The laser used to perform the surgery is a beam of high intensity light that vaporizes and cuts tissue. The lack of a physical incision results in a drastic reduction in pain and discomfort, making laser surgery an optimal method for many veterinary surgical procedures. Laser surgery has very favorable results for pets that undergo a surgery using laser technology. There is much less post-operative pain, bleeding, swelling, discomfort, and risk of infection because there is no physical contact with the tissue. The device produces a powerful beam of light that seals the small blood vessels and nerve endings as it cuts, allowing for a surgery with less pain and discomfort. While sealing the lymphatics, the laser beam also kills any bacteria in its path, leading to less post-operative swelling and infection. Because of these benefits, your pet will experience a faster recovery after laser surgery compared to traditional surgery with a scalpel. Please call our office if you have any specific questions regarding hospital protocols or the procedures offered. Serving the pets of Norwood Park, Chicago, Park Ridge, Norridge, Harwood Heights, Niles, Rosemont and Des Plaines.